Essential Heart Physics® is a thirty-day life renewal program. It is the starting place for turning information about God into powerful, life-changing heart beliefs. This module focuses in on the ultimate reality for the believer: Christ in you is the hope of glory! Through this innovative thirty-day program you will establish a conscious connection with Christ in you. You will gain possession of your HeartKey, which will enable you to make positive, painless, permanent, and effortless transformation. Click HERE to make four easy weekly payments of $48 (USD) each for the MP3 download. In this life-changing program you will learn to take control of your life. Essential Heart Physics® is a thirty day life renewal program. It is the starting place for turning information about God into powerful, life changing heart beliefs. This module focuses in on the ultimate reality for the believer: Christ in you is the hope of glory! As believers we only experience the reality of the resurrected Savior to the degree we experience it in our heart. It is this simple reality that opens the door to the power to life a transformed life. The two primary testimonies from those who share in this program is: and abiding awareness of Christ in their heart, and a sense of limitlessness. Heart Physics will provide you with the key Jesus taught us to utilize to open the door of our heart. Imagine a Key: Something so small, so simple, and yet so powerful. All through history the key has represented knowledge, the power of entrance, and unlimited access. In this Essential Heart Physics® Program, you will receive the HeartKey that, in essence, will give you unlimited access to your heart, bypassing years of faulty logic and reason. You can simply open the door of your heart and experience God’s reality. Through this innovative thirty-day program, you will establish a conscious connection with Christ in you. You will gain possession of your HeartKey, which will enable you to make positive, painless, permanent, and effortless transformation. In just thirty days of simple HeartWork you will connect with the ultimate essence of the Gospel. The mystery that has been hidden for generations – Christ in you! Dare to imagine how your life will change as you are filled with peace, power, and the confidence of constantly being aware of God’s presence in your life. The awareness of His presence is the first step toward accessing His limitless power. Within thirty days you will be able to gain access to the HeartZone at will. No matter what is going on around you, you will be able to enter that place in your heart that the Bible calls the “Secret Place” and there you will experience God’s peace, power, and presence. From the HeartZone you can make decisions with a new confidence. You can conquer stress, anger, and negative emotions. Essential Heart Physics® will establish a sense of limitlessness. There is no other way to describe it! With God’s presence comes the abiding realization of a limitless life. You will learn to change your HeartCore beliefs at will. For the first time in your life you will choose what is written on your heart. It’s very hard to make my review short. I bought this several years ago, and I have never regretted the cost of the investment in my life. I immediately and arred for too long, about the cost but I know my life literally took on what I had always wanted, but didn’t know how to achieve, a deep knowing that I am never alone. I’m not perfect by any means but in Him I am righteous and in Him is now who I see myself as. It’s not me striving for some mystical perfection, it’s me knowing that even when I’m in a struggle and life hands us struggles I already have all I need to be victorious and as I meditate on who I am in Christ that reality influences my perception within the struggle I’m experiencing in life and I choose to focus on who I am in Him, as the old hymn says; The things of earth grow strangely dim, and I am transformed. I find Jim’s teaching inspiring and I’m able to put into practice – practical everyday life what I have been taught. I have become a much more loving, less judgmental person who is aware of God’s constant goodness and everyday I’m trusting Him more. I love all my Heart Physicals teaching, I’m very grateful to have found this resource. I highly recommend this to anyone who wants their walk with God to be life transforming – visibly in yourself and for others to see in you. My experience with Heart Physics was very positive. At that time I was going through a lot of stress and it helped me first to relax and second to focus on the Lord Jesus in a more intimate way. Praise God even if heart physic is not accepted yet amongts the wider christian community. It s says in Mathiew 5 that blessed are the pure in heart for they shall see God !!! As soon as I had available funding, liberated from years of poverty/infirmity/religiosity strongholds, Jim Richard’s teachings were my first fruit offering. I’ve invested 50% of my revenues and within a short amount of time, listening intensely for months, within a year, my living conditions increased and my relationships have deepened. No longer biting the bate of Satan (offense), I want to thank God and Pauline Lai who introduced Jim’s podcast in Canada. I wish to share Heart Physic’s program to any close friends that wants to walk with me because of the clarity of teaching and the awesome encouragements you receive when tuning in. Before experiencing Essential Heart Physics I was fearful, intimidated, and lacked confidence. Heart Physics delivers everything it promises and more. I connected with Christ in me like I never have before. The program promises that you will want to do things that you have never done before. I have two examples that I would like to share with you. I was a new college student standing in line to get lunch. A lady came up next to me to order and when I saw her face she had a look of severe distress on her face. Immediately I was drawn to the woman and I couldn’t shake it. The next time she looked my way I reached out to her and asked her what was wrong. She hesitated at first, but then told me that her sister was on life support and not expected to live. Immediately I grabbed her by both hands, looked her in the eye and said, ” I don’t know what you believe but Jesus died on the cross so that your sister could live. I asked her what her sister’s name was. I called her sister by name and broke the power of sickness, disease and death over her life and told her to live and not die and declare the works of the Lord. All of this happened with a line full of people, but I didn’t care! We sat down to eat and got aquainted. I found out that she was also a believer. She marveled that the Christians she knew on campus did not behave like I did. She said no one offered to pray with her. She told me that prior to coming to the cafeteria she was so distraught that her professor told her to go to get something to eat. She said that instead of coming to eat, she almost went home. She said now she understands that God had someone in the cafeteria waiting on her. As I shared with her how much God loves her and her sister I felt my breath coming out of my mouth like a cool breeze. I knew that the Holy Spirit was working with this young lady. By the time we finished talking she breathed a sigh of relief and said,”I’m okay now. There was no doubt in my mind that her sister was healed! Two weeks later I ran into the young lady again. I literally had forgotten about her. I asked her with a smile on my face, “How’s your sister?” She replied that her sister was off life support and doing just fine! Another time I was visiting my uncle who is chronically ill and is frequently hospitalized. I found him in the bed, unable to move to sit up in the bed, sweating and shaking violently. The first thing I did was call my mom who is his caretaker and happened not to be at home to alert her to come home. I was so used to us calling the ambulance for him. I took his temperature which was very high. I was about to go downstairs to do something when it dawned on me. Wait a minute! Christ is in me and I am in him! Jesus conquered sickness! I went into my uncle’s room, laid hands on him and broke the power of sickness off of him. I went downstairs. When I came back to check on him, he was sitting up in bed looking as if nothing had ever happened to him. His fever was gone. When my mom got home and saw that my uncle was well she kinda gave me that look that says, What did you call me for? My mom is a believer so I explained what happened. I was so thankful that I allowed God to use me to relieve someone’s suffering. If you are looking for a deeper connection that you can feel with Christ in you I would definitely recommend Essential Heart Physics! Heart Physics changed my life!!! 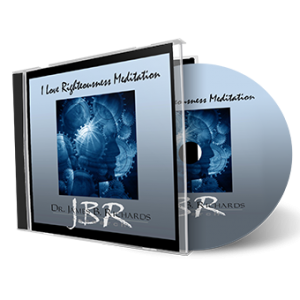 It took me 20 years of trying to meditate with different people and Jim Richards meditations with heart Physics are the only meditations that work. Initially you have to put your mind and flesh in place, by ignoring them but then it gets easier and easier. The greatest thing is that I can now hear the voice of the Holy Spirit much more clearly and I can shut out other voices. Actually Heart Physics saved my life, as I was an addict and I have learnt now how to engage with the Spirit and receive help. Thank you sooooo much!!! Praise God!!! I cannot possibly express just how wonderful Heart Physics Essentials has been for me. My husband and I both did Heart Physics together. It took us several months to complete on account of travel and holidays making the scheduling difficult. But, we finally completed it and it was such a joy. It especially was wonderful to do together, we both were so excited to learn and experience this together. I have had a life long struggle with depression and fear. This program is the first success that I have ever experienced in absolutely overcoming negative thoughts, feelings and beliefs. The UT testing with the pendulum and the magnet are amazing tools. I use them daily. Learning how to meditate and experience Christ in me has been so empowering. I have loved Heart Physics New Beginnings and Essential Heart Physics, but, this Ultimate Heart Physics really has been even more beneficial. I am so grateful for this program and for Jim Richards’ teaching. It is so wonderful to finally have something that really works!!! I bought this heart physics several years ago and has been using it since then. I had evolved from traditional churches mind-set to the Grace of God. Having understood the Glory and Grace of God through the Heart Physics, I have found new freedom, His wisdom, healing, joy and uncountable peace (even at times when the current situations are filled with difficult challenges). I’m grateful for Dr. Jim Richards teaching and even though as far as I stay from Singapore, I have been truly blessed by his Heart Physics material. His teaching and understanding of the words of God is just so downright impactful and I have been greatly blessed by it. Over the years, I’ve been listening to his teaching material consistently. I just want him to know how much his teaching has impacted lives and influencing our hearts to understand the Grace and Love of God. Thanks so much! There are almost no words to describe how effective this incredible resource is! What you will get out of it is what you put into it! And I can tell you the price is absolutely worth it! As a matter of fact because of its results I believe its worth 10X its price! 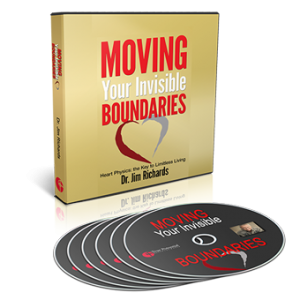 Jim has an incredible way of helping you connect to the life of God that is in you in such a way that it really feels and becomes real at a completely different level than ever before! Before Heart Physics my connection to God was limited to when I felt connected to Him based on my circumstances or feelings which produced my emotions and thoughts. Today by using this incredible tool you can have an overwhelming abiding sense of Christ in you at all times! Whether you’re doing everyday things around your home or while at work or even spending intimate times with your spouse and friends and family! 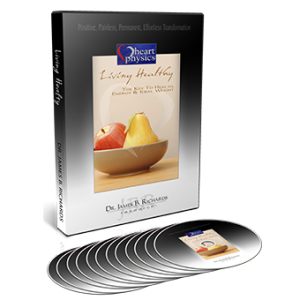 If you really want to take your life to the next level then get this amazing resource TODAY!!! Don’t procrastinate, don’t prolong or make excuses!!! I can absolutely promise you that you’ll never regret doing the exercises daily!! They are liberating and extremely relaxing!! Heart Physics will change your entire world!!!! Make the decision!!! Change your life and watch your world change because of the abiding sense of connection you will experience with Jesus!!!! Live the life of your dreams, don’t just wish you could!!! Special thank you to Jim and everyone at impact ministries for making this available to all who would desire to see their world change!!! You truly are world changers, not just in the earth but the world inside of me will never be the same because of this tool!!! The greatest investment you’ll ever make for the world, your family, spouse, kids and friends is the investment you make in yourself!!! I bought the Essential Heart Physics course about four years ago and it has deepened my relationship with Jesus in a profound way. 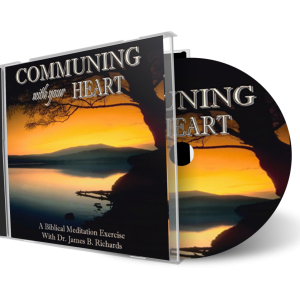 While following the twenty-eight day course through on a daily basis, the commentary accompanying it was vital because it got my heart in the right state of consciousness to apply the method. Over the month I found that there was a pattern or process triggered by a series of step-by-step instructions to myself, or to my heart, which I had learned to recite. These instructions now take me each day through the same process of relaxation, meditation and inner awareness that affect me physically, then mentally and emotionally, and finally to the secret place of the heart. Here, the sense of deep relaxation heightens my sense of Jesus in me and deepens his presence in subsequent prayer and in reading scripture. Over the two or three years since I did EHP as a course, it has become my own, it’s part of me and something I do as a natural activity at any time of day. The counting thing just ignites the whole meditative mechanism and away I go. Sometimes I mix it with bits of bible reading or praying in tongues – I even do it while playing tennis or swimming – but I avoid it while doing things like driving because it could distract me and could be dangerous. Whenever I begin, I find Jesus’s joy touches me and I find sweet laughter bubbling up from inside me. It is drawing me closer to Jesus and to the Father in many ways and I am so very glad I learned how to meditate and find my heart zone. My sense of worth and self value have greatly increased and the reality of knowing my own heart has enabled me to be more intimate with Jesus and pray with greater faith across a wide spectrum of situations. I also did the ‘New Beginnings’ course which deepened the realities of heart physics has made my experience of Jesus more real. I have found a deeper peace and joy and a fuller awareness of Jesus in my life. His voice has become clearer. I’ve become able to loose weight too – which fir years I never could, simply because I feel fuller of God and his word, so I just don’t want to clog myself up with too much food. It’s like I have other food now – so I don’t need to fill up on physical food too much. So if anyone is wondering about embarking on the heart physics course – I would say definitely yes – do it !!! I purchased essential heart physics some years ago. This is truly a game changer. One of the best tools I’ve experienced for connecting to God. I also enjoy and appreciate that I can relax during the exercise. Thanks Dr Jim! Heart Physics saved my life. I did the program – meditating 3 times & each time I went deeper & realized Christ was in me. I am a senior & struggles with depression all my life with suicidal thoughts No more. I was abused as a child & hated myself & had terrible thoughts going through my head all the time. Jesus cleared my mind and my depression has gone. It is 7 years since I did heart physics and I’ve never been happier or more peaceful. I use the countdown every night to go to sleep & have good restful sleep. I love all Jim’s teaching & host a weekly bible study using his material. All his programs are well worth the money. I have over a dozen of his courses& I have found a church here that teaches like Jim does. This program is priceless in what it does for you.